I don't know about you, but this bloody cold spell is starting to get a bit boring. Poor Holy Hoppin' Hell is still fermenting with all the will power it can muster, which is not a lot at 15.5 degrees C. Still dropping around a point a day, and with an expected terminal gravity of 1008, it should be ready by around Tuesday. That will be just shy of 4 weeks in the fermenter, meaning that's around another whole beer we have not been able to brew, making this a very expensive brew to produce. Luckily we currently have a bit of a stock pile of beer to send out from the brewery, do to label delays, so this hasnt hit us as hard as it could. Lessons have been learned from this beer, but it is tasting fantastic and i cant wait to get it out there. Due to Holy Hoppin' Hell hogging FV4, and last weeks brew of Fade to Black, which is also tasting fan-frakking-tastic, we have not been able to brew this week. We haven't even had anything to bottle. So we just stood at the newly installed bar and got drunk all day, every day this week. Yeah right, as if. 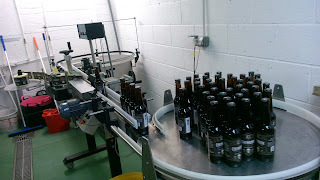 This week we passed around 4,500 bottles through our labelling machine. We would have passed close to 5,000 through, but the label company sent some rather random quantities of some of our labels, meaning we run out. We brought the labelling machine 4 or 5 months ago, and it has sat quietly in the corner patiently waiting, until now. When we brought it, we spent some time with the previous owner learning how to calibrate and set it up. Like I say, this was around 4 or 5 months ago, and a lot has happened in that time. 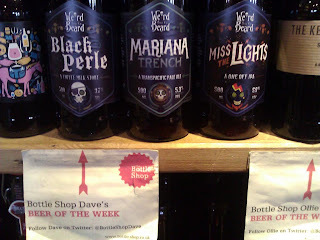 I am proud that we got as many bottles with labels out of it as we did, but i am not going to claim that they all came out perfectly. We tried to fish out all the dodgy ones, which will be used as samples, but apologies if you get a slightly skewiff label. But having labels on bottles means we can now sell the things, getting them out of the brewery and making room for more exciting new brews. And they have been flying out the door, reaching Harwich in Essex, Canterbury, Dorking, Birmingham and Leicestershire, and with orders for further North and even interest from Sweden. We have also been delivering to more great beer establishments around London. So hopefully soon, it shouldn't be too difficult to get your hands on our beers where ever you are. But if you cant, approach your favourite pub, bar or bottle shop and ask. It will hold more weight coming from you guys than us. All opinions, grammatical errors, and general greatness is that of Weird Beard Bryan, and not always the Weird Beard collective. 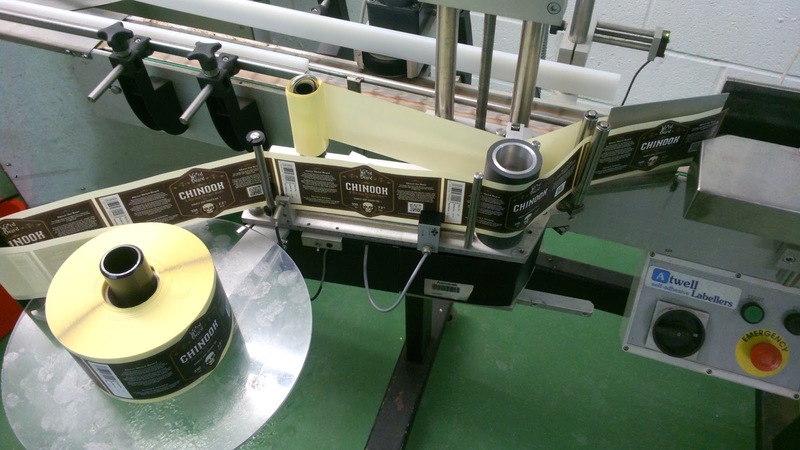 The labels look great. Can you tell me where in Leicestershire is stocking them? I'll try and get a few. Thanks. Exciting times, as ever! I look forward to finding your beers, and if not in Beer Ritz then I'm long overdue a trip to Further North. Good work guys. The bottle labels are looking fantastic and am looking forward to sampling HHH and Fade to Black soon!